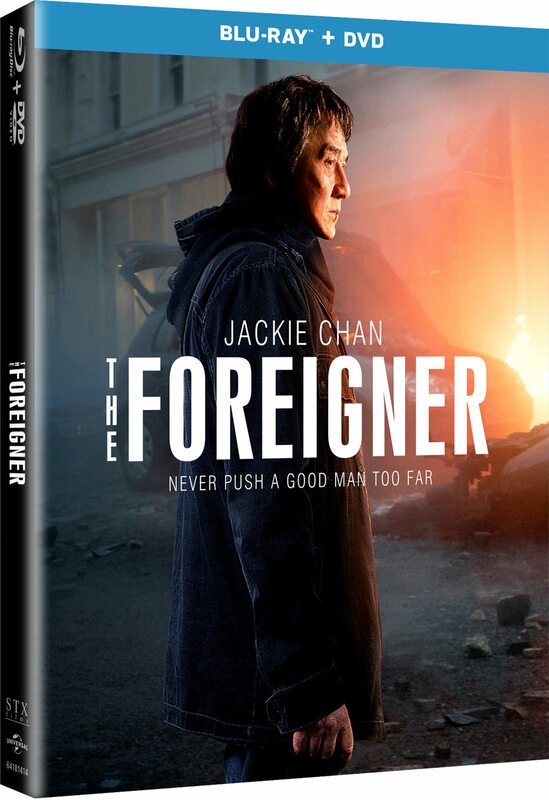 Universal Pictures Home Entertainment has announced a January 9, 2018 release date for The Foreigner. The Blu-ray will come with a 7.1 DTS-HD Master Audio track while the DVD will have the usual Dolby Digital 5.1 audio mix. Synopsis: Chan stars as humble London businessman Quan, whose long-buried past erupts in a revenge-fueled vendetta when the only person left for him to love — his teenage daughter — is taken from him in a senseless act of politically-motivated terrorism. In his relentless search for the identity of the terrorists, Quan is forced into a cat- and-mouse conflict with a British government official (Brosnan), whose own past may hold clues to the identities of the elusive killers.